The A-26 Invader was a late WWII design that was one of the only aircraft in which its service history stretched over three major wars. The A-26 was a medium bomber that was known for its speed and maneuverability. In Korean service, it saw duty as a close support bomber. 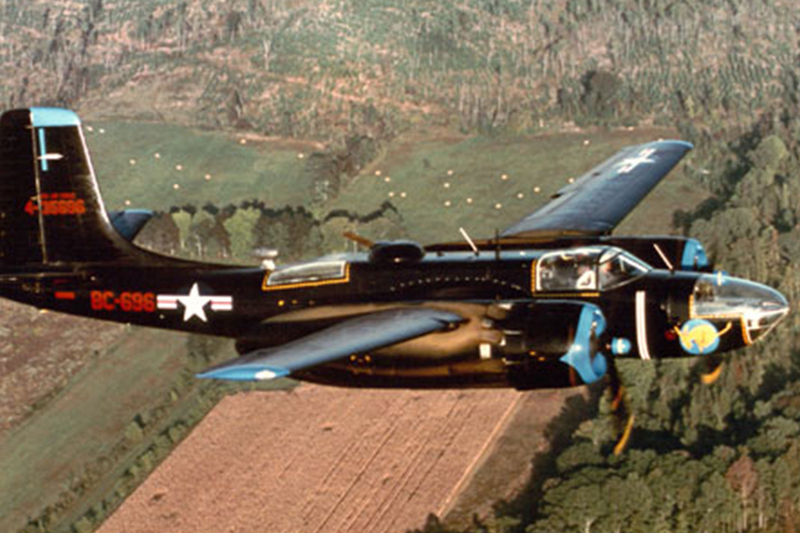 In Vietnam, the type was redesignated the B-26K and was used as a ground attack and counter-insurgency aircraft. In civil use, the type enjoyed life as a fire bomber and a converted executive aircraft before the days of business jets. Our A-26 Invader, under restoration in Uvalde, TX, will be one of the few of its type to wear its original markings as “My Mary Lou” an A-26 that fought in Korea from 1953-56.